There is, potentially, a lot of cheap value on this very small (relatively speaking) Friday slate of NBA action and we could be taking a stars and scrubs approach to lineups. Mr. Triple Double has been just that, averaging an obscene 22 points, 14 rebounds and 14 assists over the last four games. He’s even seen just the smallest correction in his field goal percentage lately. Russ still isn’t shooting well, but the shots could be starting to fall. It’s not a fantastic matchup against the slower-paced Heat squad, but there is plenty of savings at other positions so we might not have to press to make the salary work on Westbrook. Yesterday, in a bring-the-day-to-a-halt blockbuster trade, the Knicks traded away Kristaps Porzingis to the Dallas Mavericks for Dennis Smith Jr., Wesley Matthews and DeAndre Jordan. They also shipped away Tim Hardaway Jr., Trey Burke and Courtney Lee. The former two will leave a lot of minutes on the table for New York (with Frank Ntilikina already on the shelf) and we could see 30 minutes or so out of Kadeem Allen. I suspect either he or Trier get the start here with the former-Dallas guys not likely to play on Friday. Allen would strictly be a punt play though he has been able to contribute fantasy production even on his rather limited minutes. Definitely keep an ear out for the who the Knicks roll as their starters. Listen to "Friday NBA DFS plays and Betting Angles for FanDuel and DraftKings 2/1/19" on Spreaker. Monte Morris drew the start for Jamal Murray on Wednesday and that was a great move by Denver. He was a guy our system pivoted into every lineup on FanDuel and DraftKings and he was the play of the night at his price point. He played a whopping 40 minutes in the win over the Pelicans and dropped 20 points, seven assists and seven rebounds. The price climbs a bit game-over-game, but not enough to talk me out of him as a play again. Jamal Murray has already been ruled out for Friday’s game and Morris should once again find himself in the starting lineup. I suspect he’s a chalk play on this slate. Much like Kadeem Allen, I expect Trier and Dotson to see a moderate (to significant) boost in minutes on Friday with the Knicks likely playing shorthanded. Either one (or both) could enter the starting lineup. Both are basically score-first guards who have no issue getting their shot up when given the opportunity. Dotson’s been solid from beyond the arc over the last month, shooting 40% from three in a little more than 23 minutes per game. Trier shoots a little more from the midrange, attempting close to 9 shots per game in 23.4 minutes over his last five games. In that somewhat limited run, he’s still averaging 15 points and four rebounds per game. With slight usage bumps (no THJ or Burke) and increased minutes, both of these guys could easily hit value. It’s for sure a bad matchup against the Celtics, and the Knicks are in full tank mode, but there’s still fantasy opportunity here. Strongly consider Donovan Mitchell against the Hawks. The encouraging part about playing Gary Harris right now is the minutes continue their steady climb up. In his last four games they’ve trended 21, 25, 31, and 35. So that’s the good news. The reason the price is still, well, reasonable, is the bad news. He hasn’t found his shooting stroke in the short term. Over his last five games, he’s shooting just 20% from three (on five attempts per game) and 38% from the field. If you think these numbers begin regressing to his historical averages, then we are potentially buying pretty low on Harris right now. Additionally, I think you can continue making the case for Will Barton as a FanDuel pick and stack him with Morris and Harris. Winslow has been one of the rare Miami Heat players who can see steady minutes in the Erik Spoelstra manic rotations. He’s seen 35 or more minutes in each of the last three games and averaged 17 points, six rebounds and four rebounds in that stretch. The three-point shooting is run hot for sure, so you can’t count on this kind of scoring. But I think he’ll match up with Paul George meaning the minutes should continue. I like the DraftKings salary more than FanDuel, but see him as a cash game consideration on both sites. I think you can consider Joe Ingles in a perfect matchup against the Atlanta Hawks. But I’m a bit worried about the blowout in this game. All right, here we go. Power Forward on FanDuel especially (DraftKings less of an issue with the multi-position eligibility) terrible when looking at the currently available options. 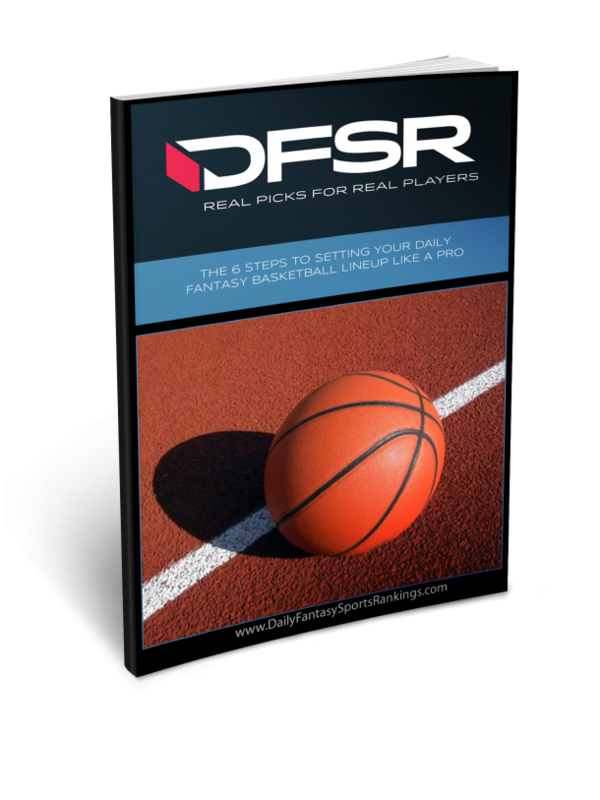 We usually don’t roll this way, wanting to give you solid plays to build lineups around. But at this moment, that’s close to a statistical impossibility. So let’s go through the options currently on the table. There’s something of a Knicks’ usage void going on as we’ve outlined above. That could lead to Noah Vonleh seeing more shots in this game. I don’t feel great overpaying for him in this matchup, but he’s an option. Kenneth Faried is still coming really cheap on DraftKings. I’m very concerned with him getting into foul trouble early and often against Nikola Jokic. The Rockets are totally undersized in this matchup (we’ll get to that in a second) and I don’t see how they stay big on the court. I’m still very much a believer in Paul Millsap who played 34 minutes on Wednesday (his season-high). If that’s going to be the new normal (or even 20% higher than the new normal) then he’s then he’s the easy cash play at these prices. Millsap finished with 13 points and eight rebounds in that game. The price didn’t move at all game over game. One of the main issues with paying these kinds of prices for Jokic this season is that his minutes tend to get buzzed off a little too easily for a guy in the superstar tier. But the Nuggets are now in it to win it and Jokic has run 34 or minutes in each of the last three games. On Friday, he’ll have a chance to go to work on a Rockets’ team starting Kenneth Faried at center and backing him up with a totally washed Nene. This could be a bloodbath on the interior. Jokic has triple-doubles in two of those last three games and could be a very popular play on Friday considering some of the savings at other positions. 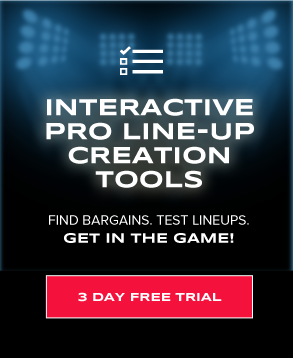 He’s a much better DraftKings pick than FanDuel but is a cash game consideration on all sites. If you don’t want to spend all the way up for Jokic, Gobert is in a fantastic spot against the Hawks on Friday. We’ve only lightly alluded to Jazz guys as plays on Friday because their pricing is actually pretty tight and there’s also some blowout risk mixed here. But they are also playing against the Hawks who run league-high pace and play some terrible defense. They are slightly *better* against opposing centers which, combined with the moderate blowout risk, keeps Gobert from being the top overall play. If Steven Adams is out again, then Nerlens Noel would vault to the very top of the centers’ list. To the guy above…STAY OFF THE WEED!! !